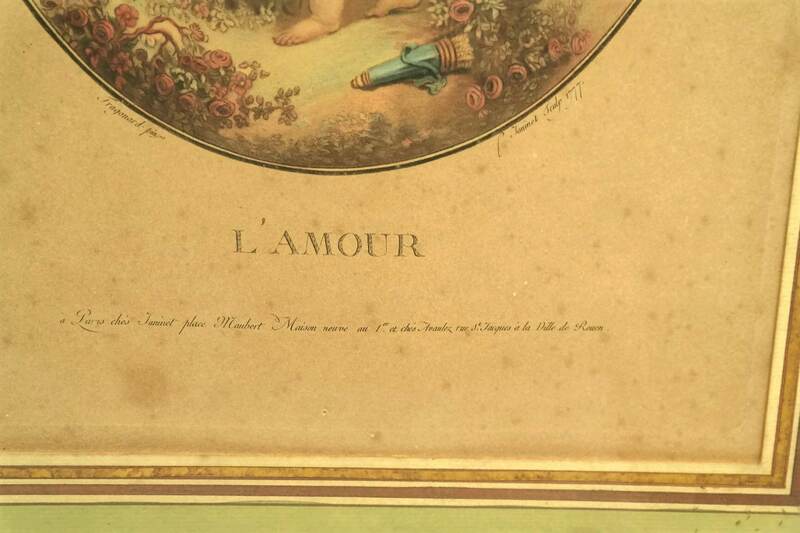 An exquisite 18th century French aquatint etching by the renowned engraver Jean-Francois Janinet (1752-1814 )and based on a painting by the famous romantic French artist Jean-Honoré Fragonard. 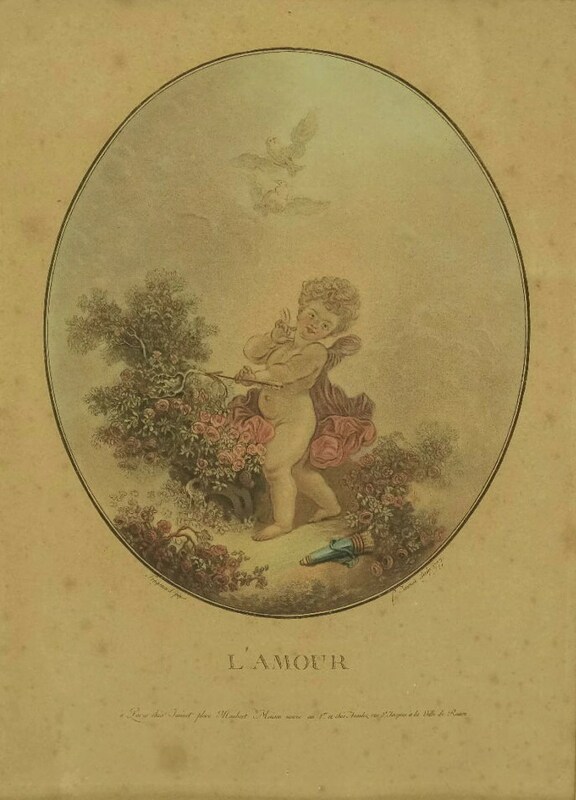 The work has been titled L'Amour and features a beautiful portrait of a cherub in a romantic setting. 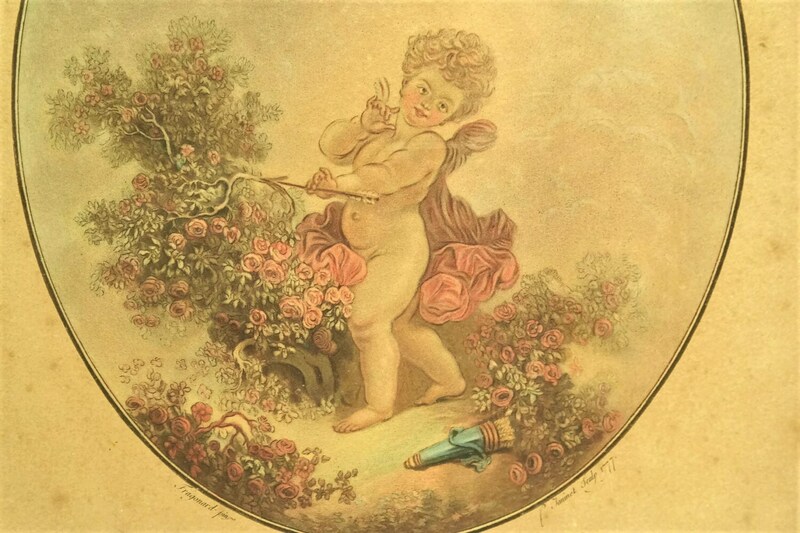 The original engraving has been hand-tinted in a delicate palette of pastel shades which perfectly suit the subject and has been bordered by a hand colored mount. The oval medallion has printed text with the title and names of Fragonard and Janinet with the date of 1777. Beneath the title is the address of Janinet. 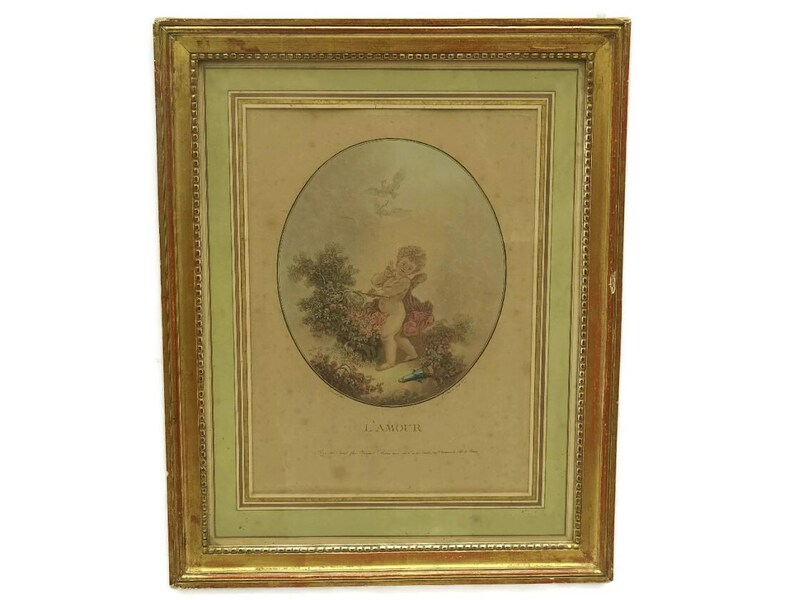 The etching has been framed under glass in a gold-leaf wooden frame. The frame measures 17 1/2" high x 14" wide (44,5 cm x 35,5 cm). The oval medallion measures 8 1/4" high x 7" wide (21 cm x 17,5 cm). The antique print is in good condition with age appropriate wear including some sun fading and light foxing marks to the paper. 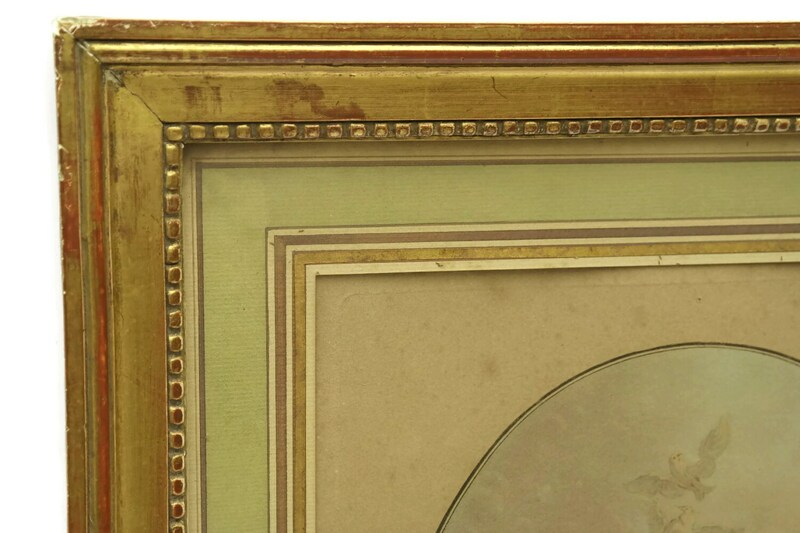 The frame has a few knocks and signs of wear.